DIY Chained Ear Cuff | Shop no further than your closet! DIY CLOSET- Shop no further than your wardrobe! Shop no further than your closet! 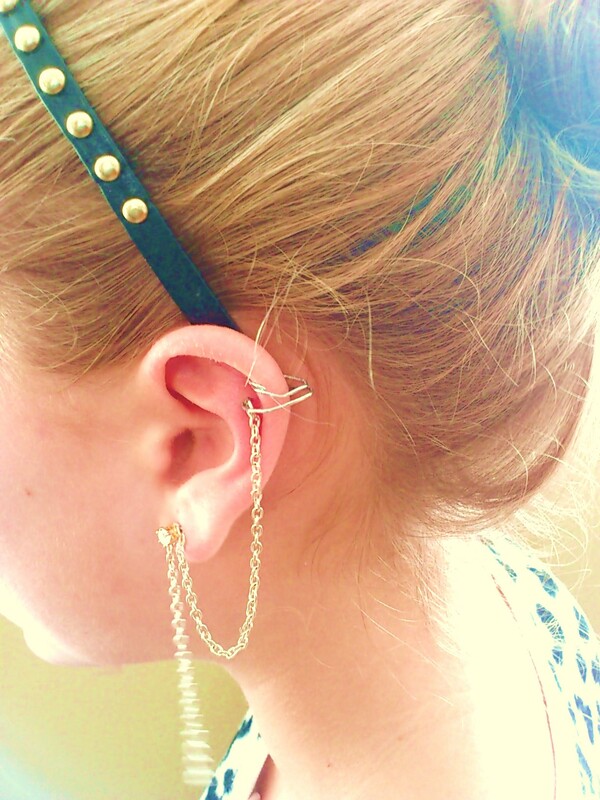 I am in love with ear cuffs right now! I just can#t find any!!!!! So i made one! Step 1: Unbend your paper clip so that its a kinda straight wire. Then with the needlenose pliers, make an eyelet(Tiny loop) on the end of it. Step 2: Make a circle by bending it around the skinny marker. It should look like a fishhook now, with the eyelet as the hook. Step 5: Using metal connector circle thingys, attach chain to one of the eyelets and then put your earing through one of the holes and let it all dangle. TAA DAA! You now have a completely original ear cuff!! I just want to mention I am very new to blogs and truly liked your web site. Likely I’m likely to bookmark your website . You actually have tremendous articles and reviews. Thanks a bunch for sharing with us your web-site.